The holiday season has arrived and with the change in weather, scenery and spirit, we’re all ready to celebrate lively gatherings. Once the cool weather arrives it doesn’t mean that we should solely focus on hot beverages because as long as there’s good company and conversation, we’ll all stay warm and cozy. So that means having a great round of seasonal cocktails to bring in autumn flavors. Fall is the start of the entertaining season and the perfect time to have friends over to the house and studio for cocktails. One tip to making the evening a hit is to serve this apple whiskey sidecar. With so many apples in season, the sweet, ripe and fruity flavors balance each other wonderfully in a whiskey sidecar. The warm, sweet flavors of apple juice, brightness of lemon and kick of whiskey are the perfect combination for an evening party. Another tip to make the evening a hit is to not stress too much over making cocktails for a crowd. Let’s say if you’re having 10 guests over, it can get pretty crazy shaking and mixing one drink at a time, especially when everyone wants a second round. A way to alleviate some stress and enjoy yourself is to make a big batch of this cocktail right before everyone comes over. 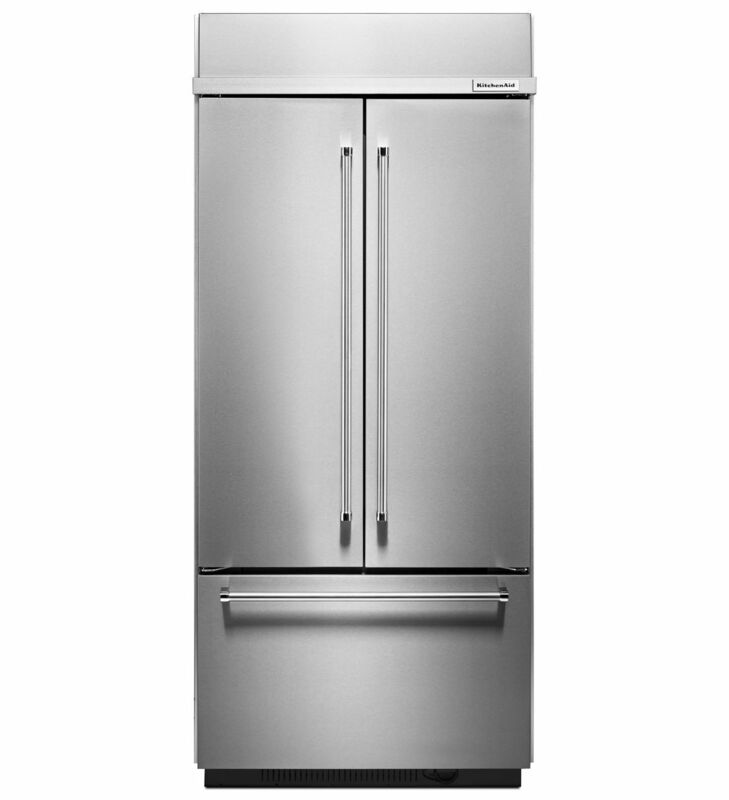 We store the ingredients for the cocktail in our KitchenAid® 36″ Built In French Door Refrigerator. 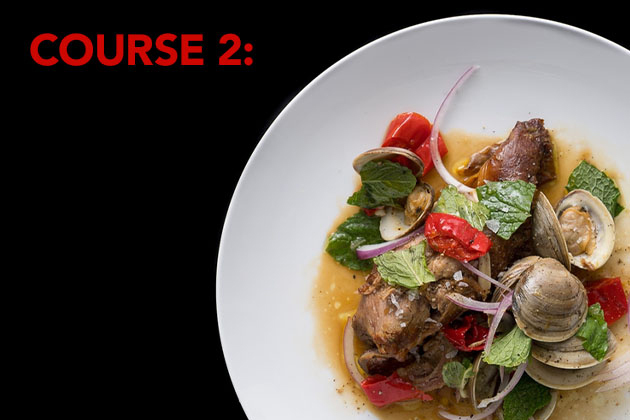 The Preserva® Food Care System helps keep food fresh longer and the FreshFlow™ Produce Preserver helps delay over-ripening. Just before the party, we’ll combine all of the cocktail’s ingredients in multiple cocktail mixing glasses and chill them in the refrigerator. The best part is that the 36″ Built In French Door Refrigerator has adjustable spill-resistant glass shelves so that if in the heat of entertaining we accidentally knock over one of the glasses, the spill stays contained on the shelf and is really easy to clean up. Then all we need to do when guests arrive is to shake the cocktail with ice and serve. You’ve already cut your time in half and freed up more valuable hosting time to enjoy with your guests. Consider serving up the drinks in a collection of different glassware. We’ll often use different cocktail glassware for a great visual presentation. Best of all, it helps keep guests from wondering which glass belongs to them if they accidentally set it down. And it doesn’t have to cost a fortune investing in different glassware. Visit your local thrift stores for some very cool and affordable vintage looking stemware. You don’t have to break the bank building your cocktail stemware collection. For decor, we like to keep it simple by using seasonal fruits. Different types of heirloom squashes, heirloom pumpkins, apples and pomegranates adorned over the table make the perfect centerpieces for any fall home decor. 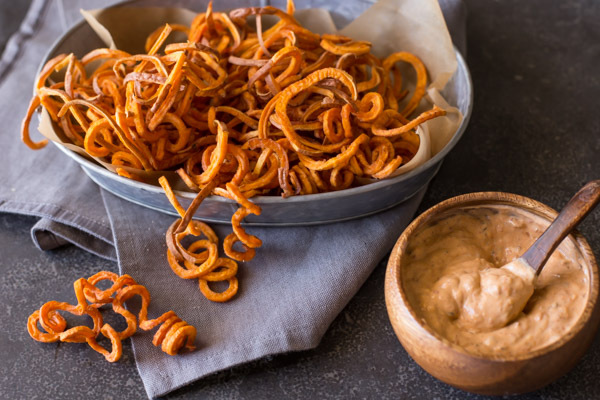 Best of all, you can cook them in your favorite fall recipes after your parties. 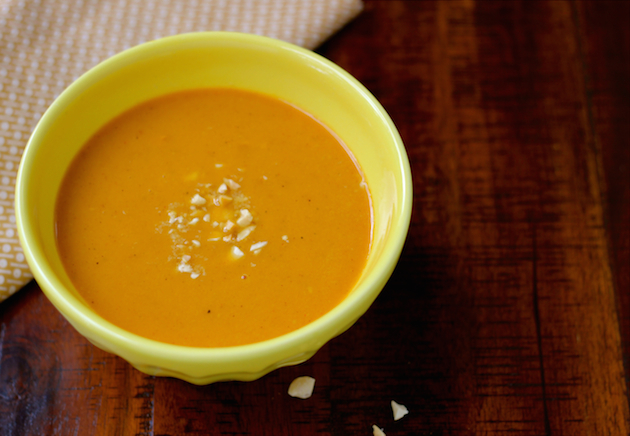 It’s always a win-win when you keep your fall entertaining simple and seasonal! 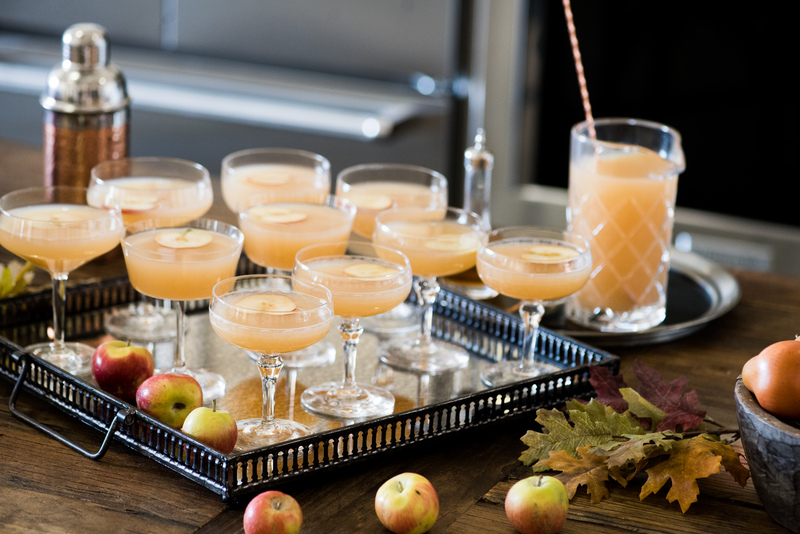 Be sure to share your take on this Apple Whiskey Sidecar recipe with us on Instagram using #MadeWithKitchenAid for a chance to be featured. Combine the apple juice, bourbon, lemon juice, Grand Marnier, and simple syrup in a cocktail shaker filled with ice. Shake vigorously for 15-20 seconds. Strain into one large cocktail glass or into two smaller cocktail glasses. Garnish with apple slices.